I gladly greet all of you who are part of my personal life or part of my evangelical mission. In December I received a lot of prayers and encouragements from you, which I highly appreciate and I want to thank you for all your support. I was blessed beyond measure. Just a few words about the missionary work in Craiova. I am blessed to see how God takes care of all the details so I can fulfill the vision He gave me regarding the spreading of the Gospel. One day, I was walking down the streets in Craiova praying for the city. I heard God's voice telling me to start sharing New Testaments to the people on the streets. 200 New Testaments. I thought about it a lot, many times I wanted to give up because I was afraid that alone and without any support I will not manage to do this work. By faith, I started to share 10 New Testaments on the first day. 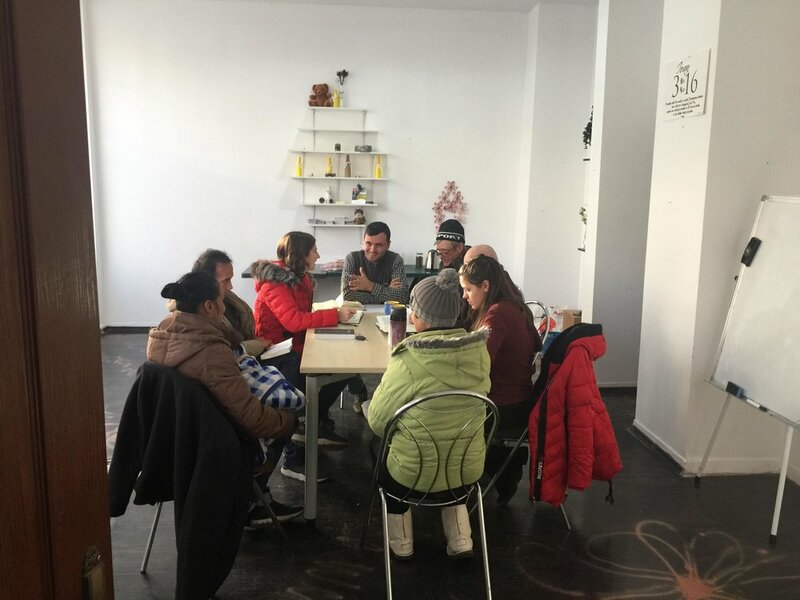 At the end of the day, I received a call from a friend asking me if I needed any help because there was a team of young people from Ukraine planning to stay in Craiova for 1 month to help with the ministries within the city. I accepted gladly and they were such a blessing. It was an honor for me to work with them. 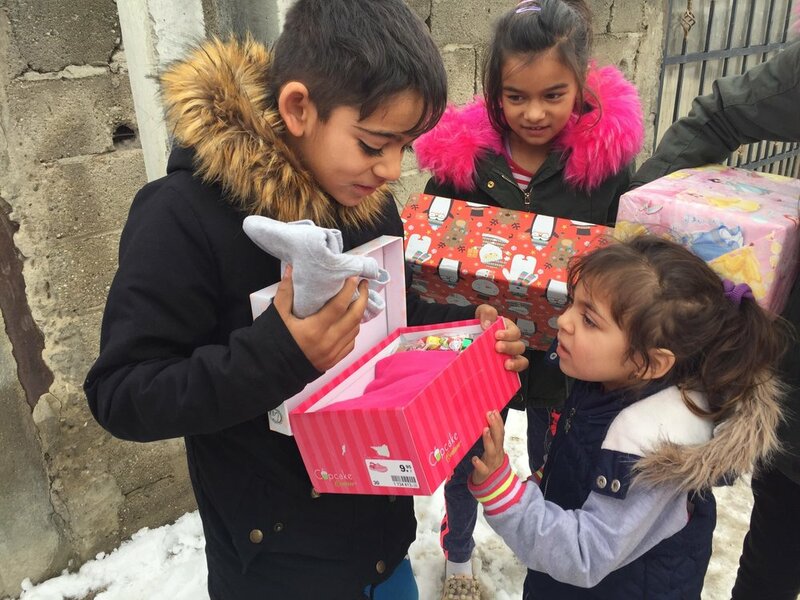 In the end, we shared not 200, but over 500 New Testaments as Christmas gifts. We were encouraged that some people were so open. For example, one man accepted one New Testament and continued his walk. After 2 minutes he came back asking more about our mission, so on that occasion we also shared the Gospel. He gave us his phone number so we could keep in contact. There is a bunch of people interested in studying the Bible. One of them is Mr. Pătru. He comes to the Bible study meetings with his wife every Friday. During the winter, I go and pick them up with my car. One week, I forgot to call him to set a pick up time, but I was surprised to see he was eager to join the meeting. It was him who called me half an hour before the beginning of the meeting asking me to come and pick him up. I was encouraged by his interest and I remembered God's promise from Jeremiah 13:29 "You shall find me if you seek me with all your heart". I started working with homeless people living on the streets or around the train station. I didn't know it would have such a big impact on my life, and that I would be so motivated about it. 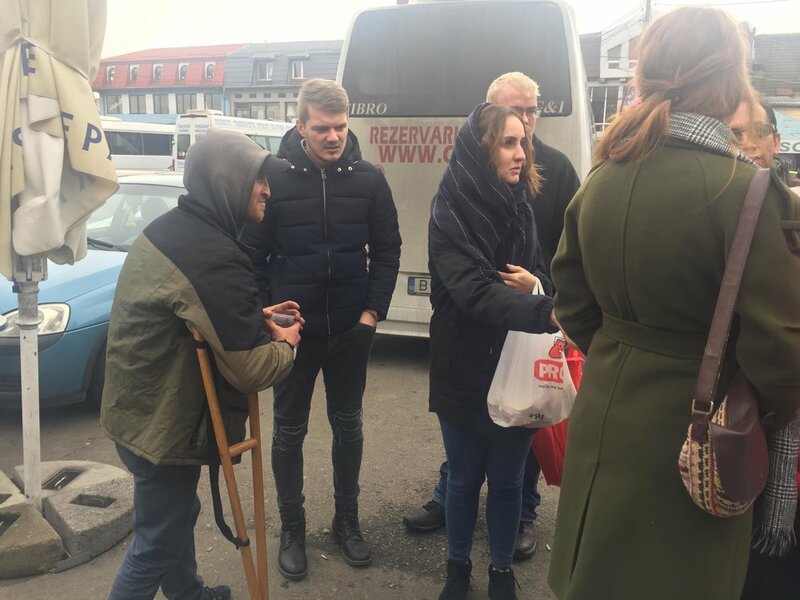 In December we tried to offer free sandwiches, tea and clothes to these poor people. It was a positive experience, even though I was shocked about how quickly some of them ate what we offered. I was impressed by one old lady to whom I gave some clothes. I asked her if she needed more. Her answer moved me "only if you could". Her humility and desire to be thankful for what she had already received, that lack of greediness, were a life lesson for me. *Thank God that He gave me the right helpers for implementing the project regarding New Testaments. * I plan to continue it, so until the end of February I hope we'll share 2000 New Testaments with people from Craiova and suburbs. Pray for the success of this initiative. * Let's pray for the salvation of people coming to the Bible study group and also for those people who recently received a New Testament. * Pray that God will bless me with financial support (I need to renew my health insurance, money for gas, taking care of the car, costs for Christian literature) and with more monthly support and a few more partners in ministry with a heart for reaching the lost to help me continue this evangelistic work in the city of Craiova, Romania. Together we are more than victorious in the Name of Jesus who loved us and chose us to spread the good news. We are also “laborers together with God... (1 Cor. 3:9). Newer PostCalled To Serve / How can you be involved ?